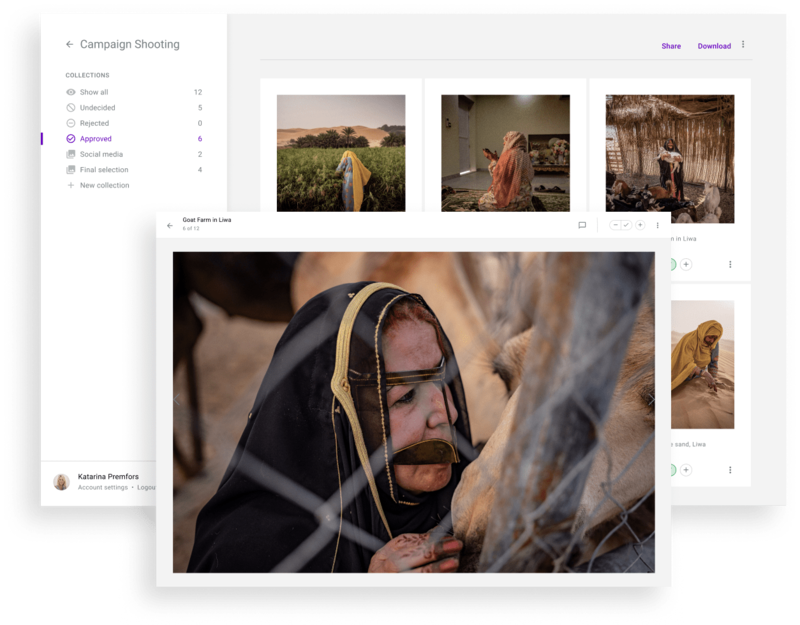 Picter Workspace simplifies the photo editing process for you and your clients. 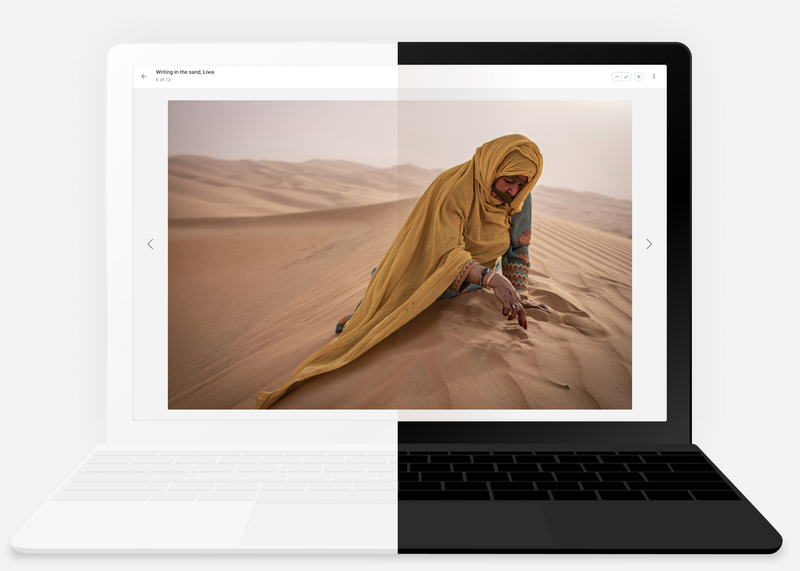 View images in grid or slideshow mode. Group project images into collections. 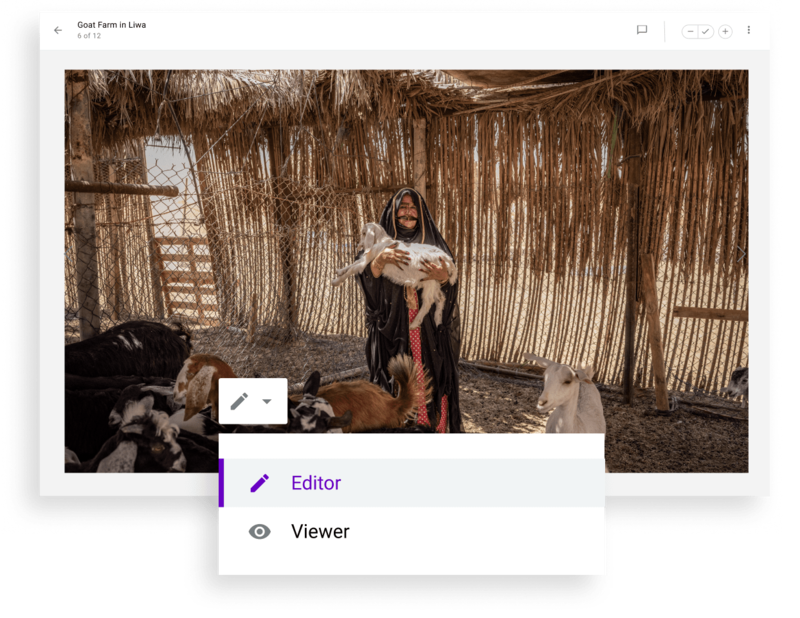 Create projects and drag and drop your work to upload. Reorder images before the upload even finishes. Share project links for immediate access; no logins required. Invite clients and coworkers by email address to keep track of project collaborators. Share an empty project to create a space to receive photos. Enable viewing mode for simple client approvals. Grant editor access to enable collaborators to sort projects into collections, reorder images, edit image descriptions, and make approvals. View client or coworker collections to compare selection preferences. Automatically sort selections into collections of approved and rejected images. 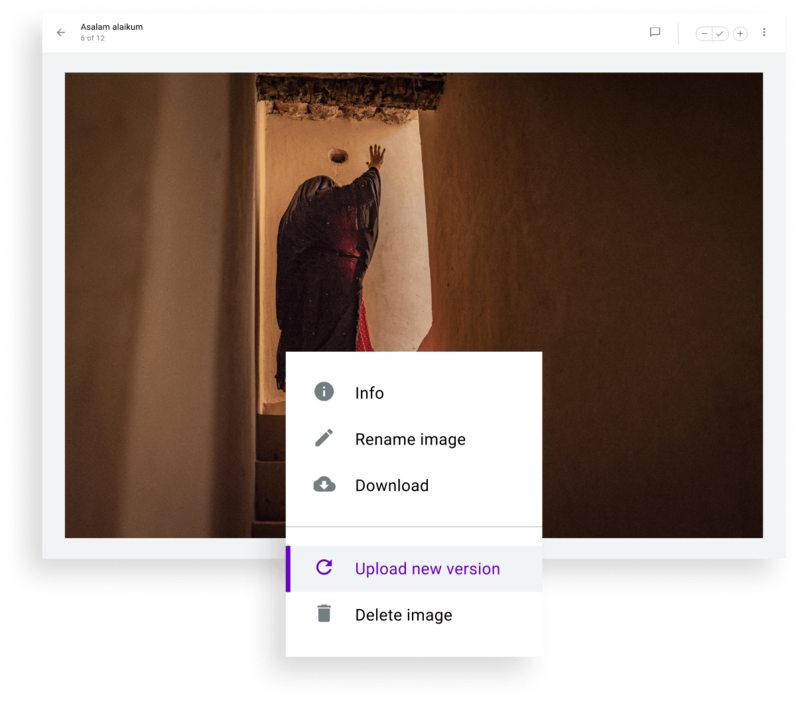 Deliver a visual-first image gallery experience instead of links to ZIP files. Easily replace preview images with full resolution originals. 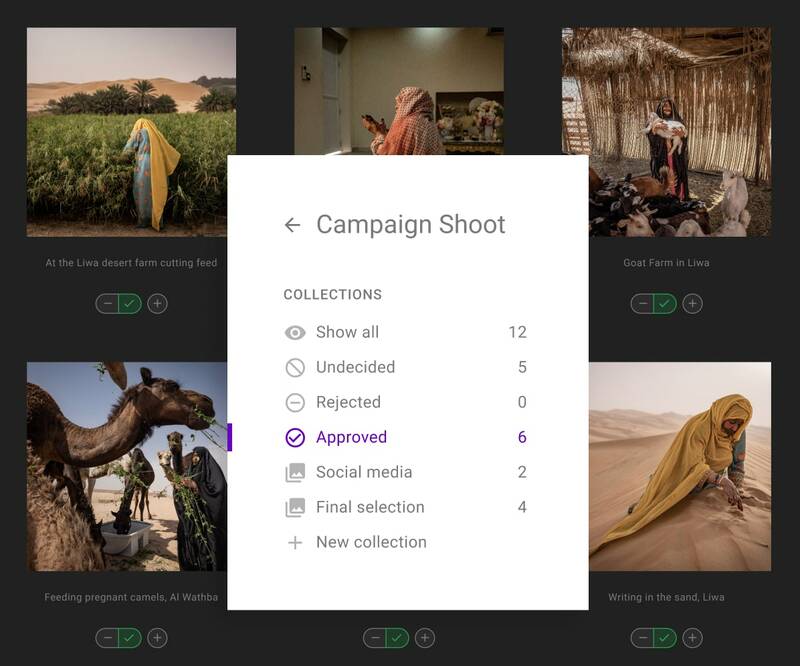 Reduce upload wait times by only delivering full resolution on final selections. You always keep 100% of your rights when you upload your work to Picter. Picter never sells your personal information. Payments processed securely using Stripe. Invite collaborators to view private projects by email. 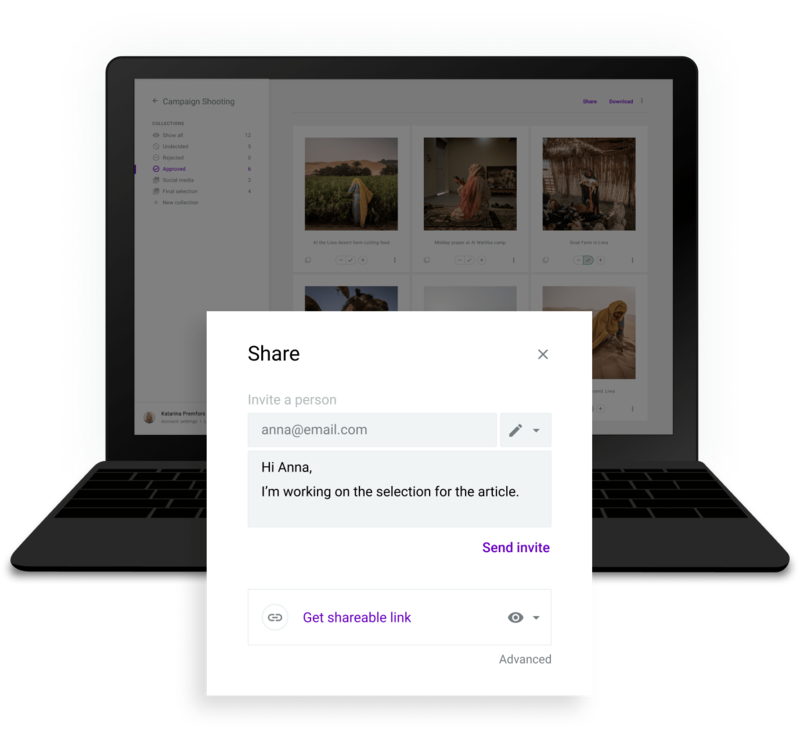 Enable or revoke shared link access any time. Host your work on Picter’s GDPR compliant servers.